STI Trojan 45 cal single stack, special made. His going under the name of Miko Andres. He is 6 years old. 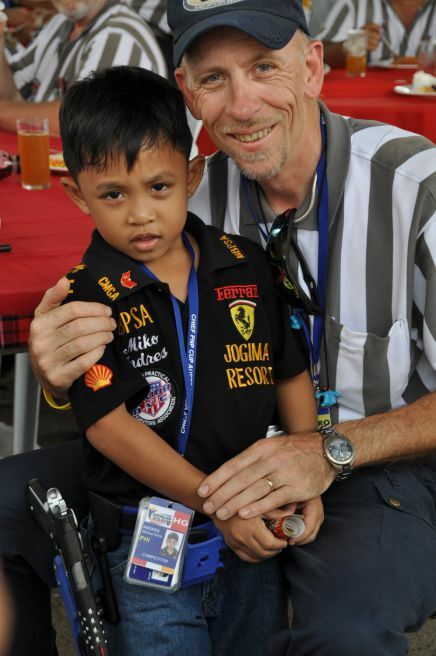 He is right now the youngest ipsc shooter in the world. And his from Makati Philippines. Classictarget had the opportunity to meet Miko and his family and had a chance to get Miko's story. 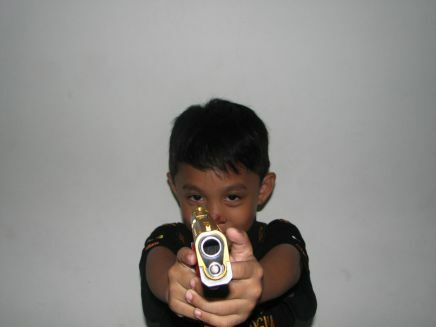 First time I heard about Miko was on the European championship in Rifle in Norway, I saw him in YouTube a small kid shooting, and I ask my Filipino friend who is he and they told me you don’t know Miko? And in the AustralAsia 3 Gun Championship in Clark Philippines on October of 2009 I was so lucky to watch Miko shooting, and I told myself I want his story. 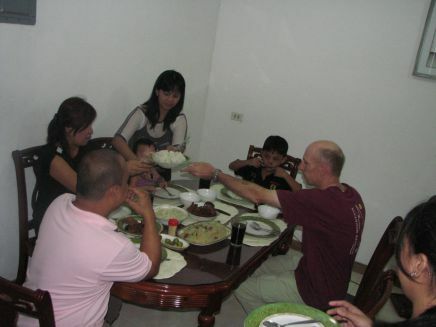 On November 3 the whole family came to my house for dinner. Few days before they come to my house Miko fallen because of playing and he got a scratch on his nose that is why he had a scar on it. We had a nice dinner. I made the local Filipino dish Chicken Adobo but this time it’s a half chicken and a half pork advice by my housekeeper Irene. 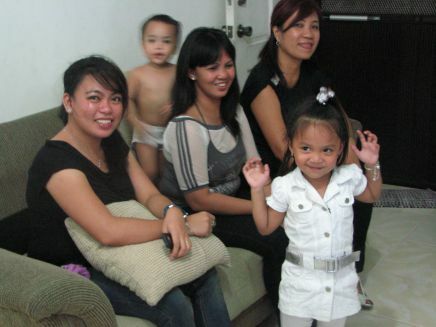 And my daughter Michelle made a very nice mango float dessert, and Miko and his family liked it. 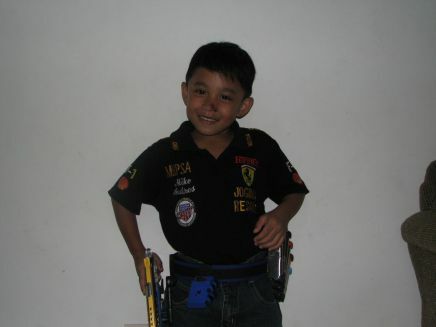 Miko is 6 years old born in Makati Philippines on August 28, 2002. Are you ready stand by bib bang with the hands very funny little girl. Miko´s hobby are shooting and computer. 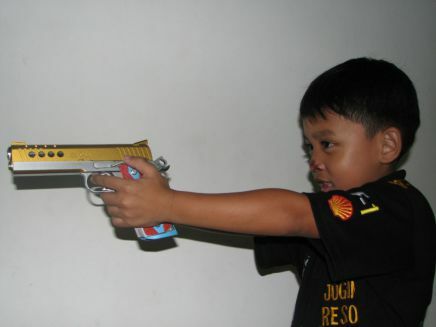 He is going in Doh Bocco School in Makati and no one knows he has a hobby of shooting. He told his father not to tell the people about his shooting. Miko said I don’t like them to know. Miko started shooting in January 2009. That was the time also he started to practice until May 30, 2009. Then he had his first match. 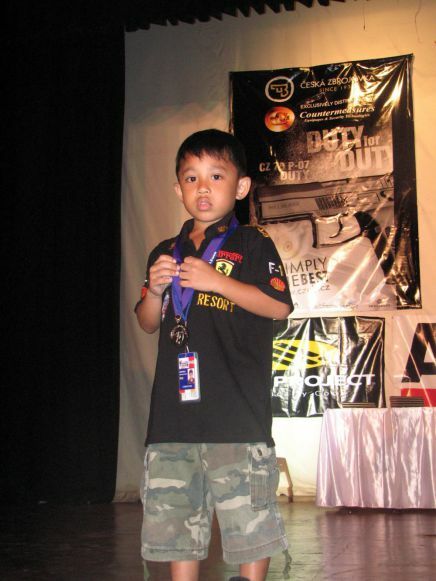 So far he had around 20 ipsc matches level 1 to level 3 and he got his first trophy as the champ in junior division in Baguio City, Philippines. 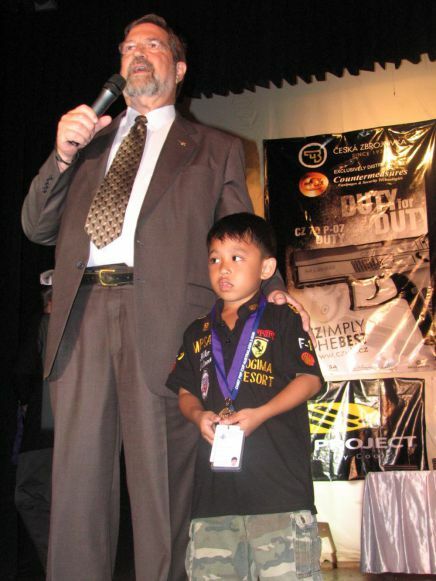 Miko´s first president medal was on his first level IV match the AustralAsia 3 Gun Championship and he got it for being the youngest ipsc shooter in the world. Miko is a member of PPSA and Armscor, Metro Baguio Practical Shooting Association, Calibre Montecarlo Guns and Ammo in the in the Philippines and USPSA sign by Mike Vought in the USA. Miko is practicing every Saturday and he use 400 rounds every time. 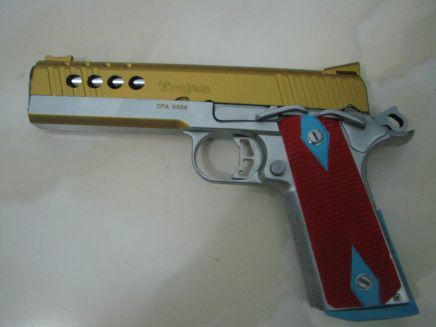 Miko uses a STI Trojan 45 cal single stack a beauty gun. Also using Armscor ammunition. The father told me when Miko watch the other shooter and they do something wrong he will tell his father look dad he is pointing the gun over the bag stop. Or when they have Malfunctions Miko said see the way they point the gun? Or his finger is on the trigger. Miko´s gun handling for his age is very good than what I saw from the other shooters in the big match. I told Miko about one shooter who was sweeping and had his finger in trigger at the same time, and Miko just started to laugh because he knew there was something wrong. 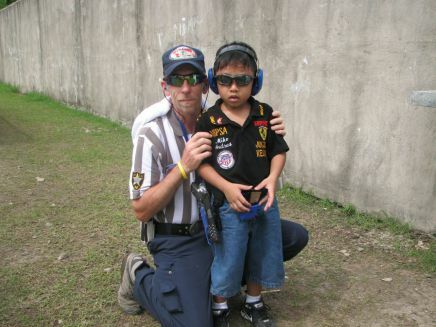 Miko’s passion and natural ability for practical shooting has been carefully monitored by his coach Gilbert Atioan, trainer Chris Andres and of course the PPSA with the NROI of Philippines. Miko took up the training in January this year of 2009, four month later. Miko is fully versed in the strict laws of the sport, despite the obvious dangers and concerns raised over a boy of six, handling such weapon. Chris says. Being his trainer I’m very much eager to stress that safety is always at the forefront of his mind. Chris says. As a parent, I too am worried about the dangers of the sport. Accident and injuries might happen in the course of the sport and that is always a concern. 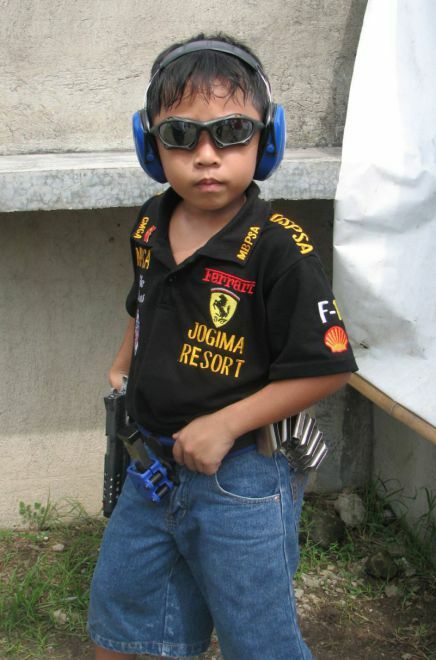 Miko is very young but is determined to excel in the Practical shooting sport. He has been taught a lot of discipline and respect. After we talked, I took some pictures of Miko. After that, Miko was tired of talking and playing. And he just watches television. He loves to watch Mr. Bean together with his sisters. Then, he felt sleepy. I am going to follow Miko for many years to come. And I am going to post more of his story here at classictarget.dk.